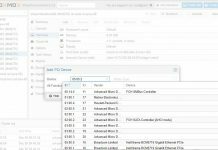 Proxmox VE 4.3 has been released about five months after the Proxmox VE 4.2 release. This is a relatively minor upgrade aside from various bug fixes. The major updates are new linux underpinnings, updates to the GUI and SMART management including SSD wear out level for major SSD manufacturers. We have started Project Kenko and are using these wearout indicators to see how SSDs last. Proxmox could certainly use an update to Ceph Jewel as Jewel was released in April 2016. The ability to have a pve-zsync GUI is awesome as it is one feature where Proxmox users need to use the CLI right now. You can see our guide on using pve-zsync here. The feature allows you to create a zfs send/ receive backup jobs very quickly. 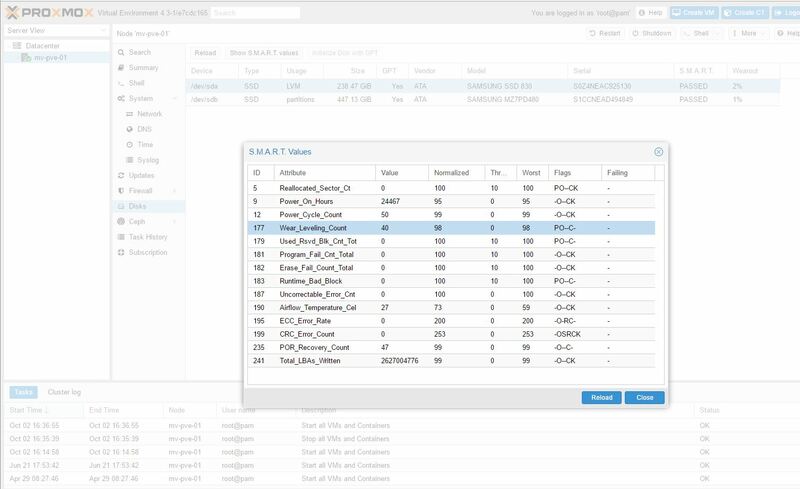 We are excited to hear that it has a new graphical user interface coming. We do also wish that Proxmox VE adopted Docker. If it did so it would likely see an explosion in usage since Proxmox already has clustering, ZFS, Gluster and Ceph storage capabilities. It does appear as though Proxmox is set on integrating LXC for the time being. You can either install Proxmox VE via the new ISO file or use apt-get update && apt-get dist-upgrade to update the system via CLI. The update will require a reboot.